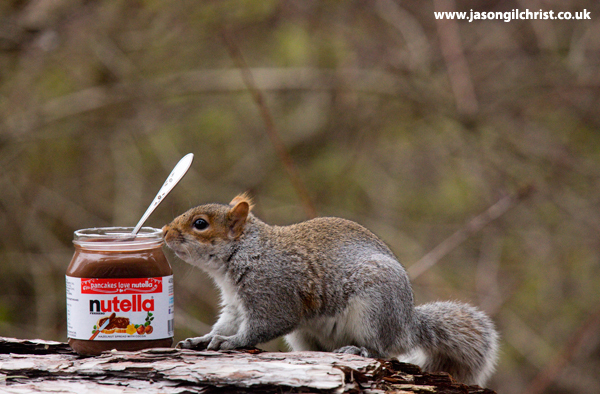 Jason Gilchrist: Grey Squirrel, Sciurus carolinensis, with Nutella, Edinburgh, Scotland. Grey Squirrel, Sciurus carolinensis, with Nutella, Edinburgh, Scotland. Grey Squirrel, Sciurus carolinensis, with Nutella, Edinburgh, Scotland. There are plans to administer an oral contraceptive to wild grey squirrels using Nutella as bait. Reducing reproduction rate will diminish the need for cull.